geniaBeana Scraps: I'm having a Creative Team Call!! 1. Create at least 1 layout with any product you download. 2. 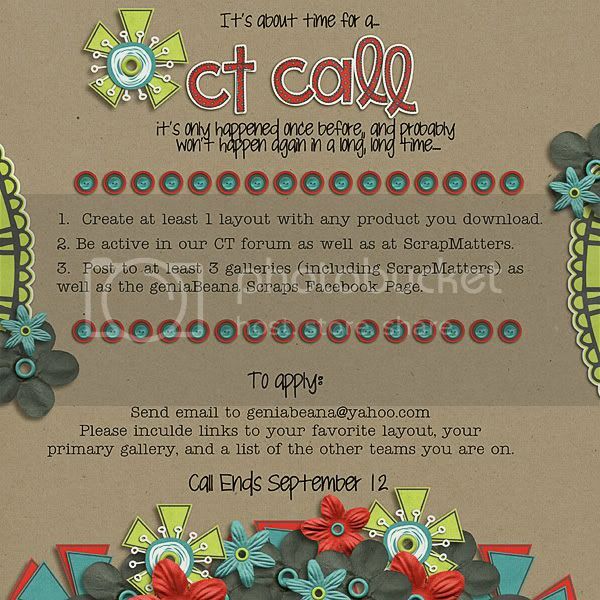 Be active in our CT forum as well as at ScrapMatters. and a list of other teams you are on. Call Ends Sept 12, 2011.